Hungary's ruling party is gearing up for elections next year with a massive campaign against the US billionaire George Soros, featuring a so-called "national consultation" that officially ends this Friday (24 November). This is the seventh 'national consultation' prime minister Viktor Orban's government has rolled out since coming to power in 2010. Earlier this year another such consultation and an accompanying 'Stop Brussels' campaign prompted a detailed rebuttal from the EU Commission after the Budapest government made false claims about the EU's migration policy. The consultations' choreography is the same: the Hungarian government sends out a questionnaire, stuffed with directed, false or half-true statements, to eight million voters and then uses the responses as political ammunition against critics. In order to dominate the political agenda, a country-wide campaign accompanies the exercise with billboards, TV spots and news stories in the pro-government media that underline the statements in the questionnaires. Earlier this year, out of eight million potential voters, some 1.25 million sent back answers, with 93.8 percent of these agreeing with assertions such as "money would be rather spent on Hungarian families, than migrants." Those who take the trouble to answer, mostly agree with Orban's position. The government has spent 7.2 billion forints (€23 million) on the anti-Brussels, anti-Soros campaigns from taxpayer money in the first half of the year, according to data gathered by Atlatszo, an investigative journalism site. 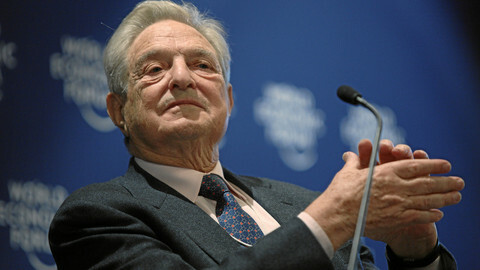 The latest questionnaire asks people's opinions on a so-called 'Soros Plan' (a term coined by the government), that claims that the Hungarian-born US billionaire wants to transport one million migrants every year to Europe to dilute the continent's nations. The Hungarian government says that the plan is executed by the European Commission, which it claims punishes any nation, such as Hungary and Poland, which is not welcoming migrants. The Soros questionnaire is a prelude to elections in spring 2018, which Fidesz, Orban's party, is expected to win by a large margin. "We are in election campaign. The most important goal is to mobilise Fidesz's core voters by identifying who is the opponent," Balint Ablonczy, columnist at the conservative weekly Heti Valasz told EUobserver. Orban focuses on Fidesz's roughly 2 to 2.2 million voters that the party needs to mobilise to maintain an uncontested majority in parliament. It barely addresses the concerns of other voters. It is a campaign that it is impossible to avoid when in Hungary. Billboards with Soros's face, urging "Let's Not Keep Quiet About It" are plastered across the country. 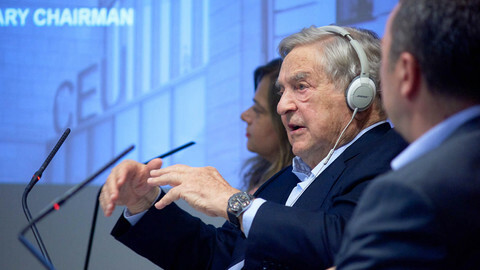 Pro-government and public media endlessly connect Soros, his Open Society Foundations, migration, and the EU, as one conspiracy in a series of false or twisted stories. The government cites a couple of articles the US investor wrote at the height of the migration crisis, as proof of his efforts. The questions on the most recent questionnaire are extreme, but without proof. One states for instance that "the goal of the Soros Plan is to push the languages and cultures of Europe into the background, so that integration of illegal immigrants happens much more quickly." 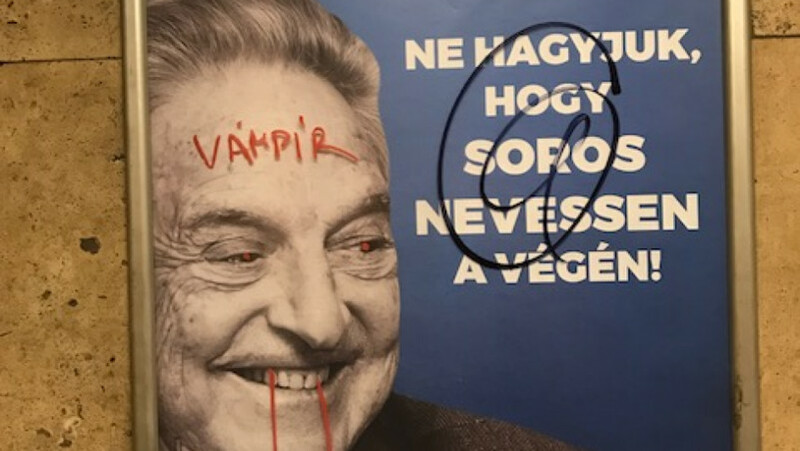 Soros this week (Monday 20 November) dismissed the national consultation as "distortions and outright lies that deliberately mislead Hungarians about George Soros, migrants and refugees". In a statement he said the campaign is stoking "anti-Muslim sentiment" and employs "anti-Semitic tropes reminiscent of the 1930s". Pro-government news website Origo on Tuesday (21 November) was quick to hit back with the headline, "Soros threatened Hungary, and is lying indiscriminately." Yet, even Tibor Navracsics, the current EU education and culture commissioner, who was previously deputy prime minister to Orban - tasked with defending in Brussels a controversial reform of Hungary's constitution - in recent weeks pointed out that the EU executive does not have a Soros Plan and thinks the anti-Soros push is a "rhetorical element" of the upcoming electoral campaign. Navracsics was then later rebuked by his fellow Fidesz politicians. 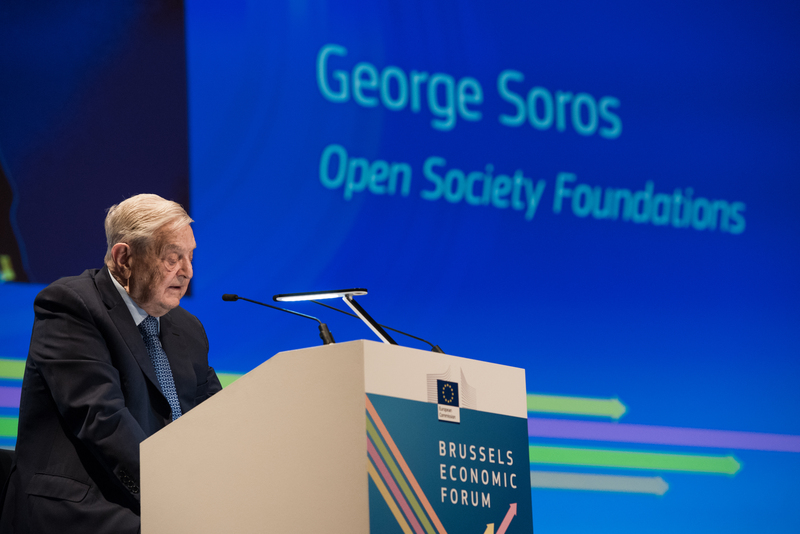 "Mr Soros's network is strong enough, we believe, to use the alternative ways of enforcing the vision, including many NGOs and so-called expert groups [...]," government spokesman Zoltan Kovacs told reporters in Brussels. Soros, whose foundation once supported Orban and other Fidesz leaders, embodies all that the Orban government dislikes: civil society, liberals, migrants. 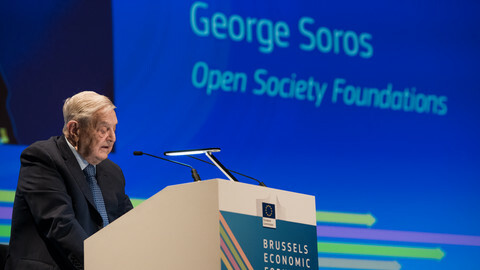 "Soros represents everything that the right-wing does not like, he is a multi-billionaire and has a strong opinion, he supports NGOs that propagate democratic transition and defend migrants' rights," said Ablonczy. Ablonczy added that he does not think the government deliberately intended an anti-semitic tone to the campaign focussing on Soros, but he acknowledges that "many hundreds of thousand of Hungarians feel disgusted" by the way it has rhetorical echoes with the 1930s. The columnist however said that when the government elides those nuances, it can no longer control the hatred it has inspired. That is palpable on the streets of Budapest among Fidesz-supporters, who seem happy to take part in the 'national consultation'. "You are an evil-doer," one man lingering around a booth that publicised the consultation, told this reporter when simply asked why he supports the campaign. He refused to share more about his reasons. 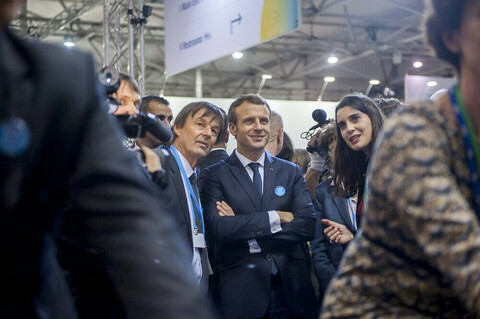 "You must be waiting for the migrant masses, because you want to find a husband," a woman (who did not want to reveal her name) retorted when asked if she believed in the "Soros Plan". The country is deeply divided between those who echo the government's arguments and those who think they are far-fetched. The opposition, that includes an ideologically wide range of parties from liberals, greens, socialists to the once far-right Jobbik, is fragmented and weak, and has so far been unable to unite against Fidesz. A recent study by the IDEA Institute showed that only 11 percent of Fidesz voters think that things are going in the wrong direction. That compares with 57 percent of all citizens (and over 60 percent among supporters in every opposition party) thaht think things are going badly. While the EU is discussing how to combat fake news in general, it is less well-equipped with countering propaganda in a member state. Especially with leaders such as Orban. 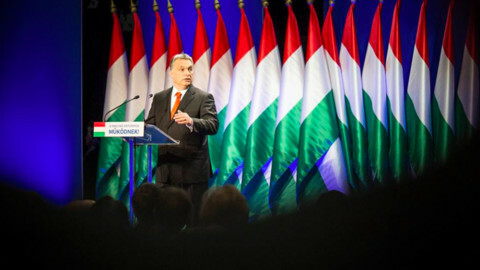 "Orban has a clear sense of mission, in [a] historic proportion. He wants to save eastern Europe from what has happened to western Europe, namely multiculturalism. He thinks integration is not possible," Ablonczy concluded. The billionaire philanthropist, George Soros, said the European Union should use Brexit as a catalyst for change if it wants to survive, and called his native country Hungary a 'mafia state'. Hungarian NGOs funded by philanthropist George Soros have vowed to defy prime minister Viktor Orban’s plan to “sweep them out” of the country. 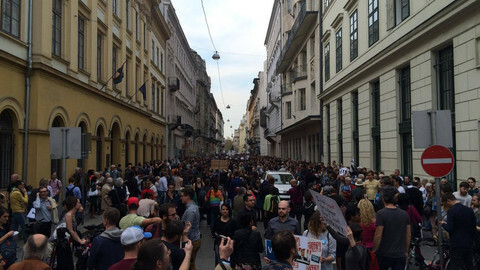 The Budapest-based university founded by George Soros to help central and eastern Europe in its transition to democracy has come under attack by the Orban government. It vows to fight back and stay in Hungary. For all the furore, George Soros and the Hungarian government of Viktor Orban agree on a little more than many assume when it comes to immigration.